Ask your questions in General Microbiology in the comments section and get clarified from your query by our experts in the specified discipline. The viewers are requested to restrict the question to General Microbiology, since questions regarding Immunology, Bacteriology, Virology, Mycology and Parasitology are posted as separate. It is obvious that the oral intake of antibiotics and chemotherapeutic agents have an adverse effect on the normal intestinal flora. So, the current trend is moving towards the use of probiotics(oral microbial supplements) in addition with antibiotics to re-establish the normal flora. Moreover, the use of broad spectrum antibiotics are not recommended owing to the risk of antibiotic associated diarrhea caused by Clostridium difficile. Parkin is recruited selectively to depolarized mitochondria and directs mitophagy. HeLa cells transfected with HA-Parkin were treated with CCCP for the indicated times( there was a figure in which times were indicated). Mitochondria were stained by anti-TOM20 and a mitochondrial membrane potential-dependent Mitotracker. Parkin was stained with anti-HA. Without treatment mitochondria are intact and stained by both mitochondrial markers.After 2 hours of CCCP treatment, mitochondria are depolarized as shown by the loss of mitochondrial staining. After 24hr of CCCP treatment, massive loss of mitochondria is observed as shown by the disappearance of the mitochondrial marker. Only parkin positive cells show mitochondrial clustering and clearance, in contrast to transfected cells. Parkin gets selectively recruited to depolarized mitochondria and directs degradation of mitochondria. HeLa cells transfected with HA-Parkin were treated with CCCP for the indicated times. Mitochondria were stained by anti-TOM20 and a mitochondrial membrane potential-dependent Mitotracker and Parkin stained with anti-HA. Mitochondria not treated with CCCP are intact and are stained by both markers. After 2 hours of CCCP treatment, mitochondria are depolarized as observed by the loss of mitochondrial staining. Post 24 hours CCCP treatment, there is massive loss of mitochondria observed, as shown by the disappearance of mitochondrial marker. In contrast to transfected cells, only the Parkin positive cells show mitochondrial clustering. my name is Xueling Li. I am a master student in the University of Hohenheim, Stuttgart, Germany. with this email, I would like to ask you kindly about the kit that I need for my master thesis. 1. I am using Eugenol as my antimicrobial agent. The bacteria that I used are Staphylococcus carnosus and E. coli K 12. 2. I would like to see the resistance of these 2 bacteria against Eugenol. 3. Hence the Eugenol antibacterial mode of action is by destroying the cell membrane of these bacteria. in your company for my requirement to detect certain resistance expression? if yes, how can I order it? Thank you for your kind of help and attention and I am looking forward to hear from you soon. Back in 2003 I traveled to Arizona. I stayed for a few months. One morning I noticed a floater. However unlike the normal floaters that one experiences in one's eye, this floater is different. The floater I am experiencing actually has a head, with a visible eye. It has a tongue, which is split. It has a hinged body. And it has a split tail. Almost like a little parasitic dragon. What the hell is this? And how do I get rid of it? 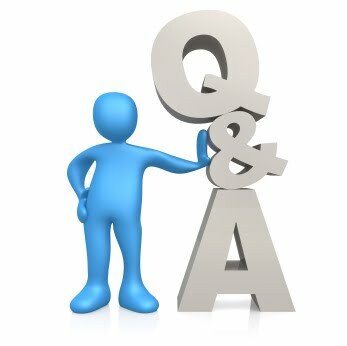 I apologize for this delayed reply & Thanks for your question. Phenotypic resistance could be simply detected by diffusion/dilution methods. Some times when i autoclave d media, agar in d media does not melt completely. Whay must be d problem? 2. According to the standard procedure - you have to melt the agar before autoclaving; however most often it is not practiced. 5. If you are preparing >500ml of media in single container you have to increase the holding time accordingly. 6. Your media container may not allow the penetration of steam (use cotton plug; don't use aluminium foil to cover your container). 7. Don't dump your autoclave completely. Hope this will help you to solve your problem. Thank you. Fungi can be either unicellular yeast or multicellular mold. To your second question, not all organisms are predatory, for example algae are photoautotrophs (takes CO2 as a source of carbon and light as a source of energy) and they do not feed on another organism. But only viruses are obligate intracellular parasites and always exhibits parasitism on another organism. In terms of parasitism, size doesn't matter; for example a dengue virus which is just few nanometer in size, bat are capable to kill a human measuring 2 meter in size - it is associated with pathogenicity i.e., disease producing ability. 3. Presence of H antibodies or any chemicals that have an antimicrobial action. The probiotic bacteria added for lactic acid fermentation in yogurt/curd preparation are not gas producers. The presence of gas producing bacteria (bulging of container) in yogurt indicates contamination with unwanted bacteria. It may or may not be harmful to the consumer depending on the pathogenicity/toxigenicity of the contaminant. Our project is to ID 2 unknown gram - enterics to genus and species. My EMB agar shows metallic green colonies, so I believe it's E. coli. My HE agar shows bluish-green colonies with no black precipitate, so I believe it's Shigella. If this media is selective and differential, why do I need additional testing? What tests would you recommend? Thank you! Identification by selective medium is always presumptive (i.e., some other microorganisms may also give similar picture - for example citrobacter/enterobacter on EMB) and requires confirmatory identification. E. coli can be better identified with biochemical tests and Shigella can be better identified with agglutination test with specific antiserum or you may use molecular techniques for confirmation. Can you please tell me if the toxins produced by the Clostridium Botulinum bacteria are themselves living organisms possessing their own DNA or are they merely dead chemicals? Your help in this matter would be greatly appreciated. Thank you. Botulinum toxin is not just a chemical - it is a nerurotoxic protein encoded by an indigenous gene (chromosomal gene) of Clostridium botulinum. ...and so on. I thought it should be 10 and 100 respectively. Colony counting is based on probability, in which 10% buffer is always acceptable. Hence, the 10% buffer will felicitates whether to put the specimen under 10^2 (fit) or 10^3 (unfit). on refering few papers i came up wit a small project.. in that i am supposed to get a zone of growth around the plated wells in a media which is MEM wit a carbon source.. as per the references... but i have got growth of colonies.. but not a zone of clearance.. so how can i conclude it? has the organism not degraded that carbon source to form a zone of clearance and has it just utilised tat carbon source to grow? is that possible? please explain.. I could't understand your question. Please make it clear. Readers are advised to ask their question unambiguously with proper explanation; cite appropriate references if it is necessary for understanding.